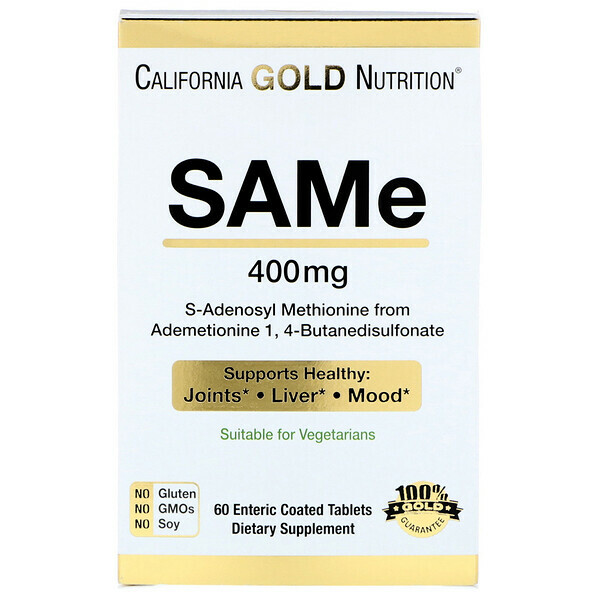 California Gold Nutrition® SAMe is produced in a temperature - controlled (low temperature – low humidity) environment, using a proprietary fermentation process. Research suggests that the stabilized form of SAMe Butanedisulfonate is preferred because the molecular weight of the compound yields the full amount of the SAMe compound. 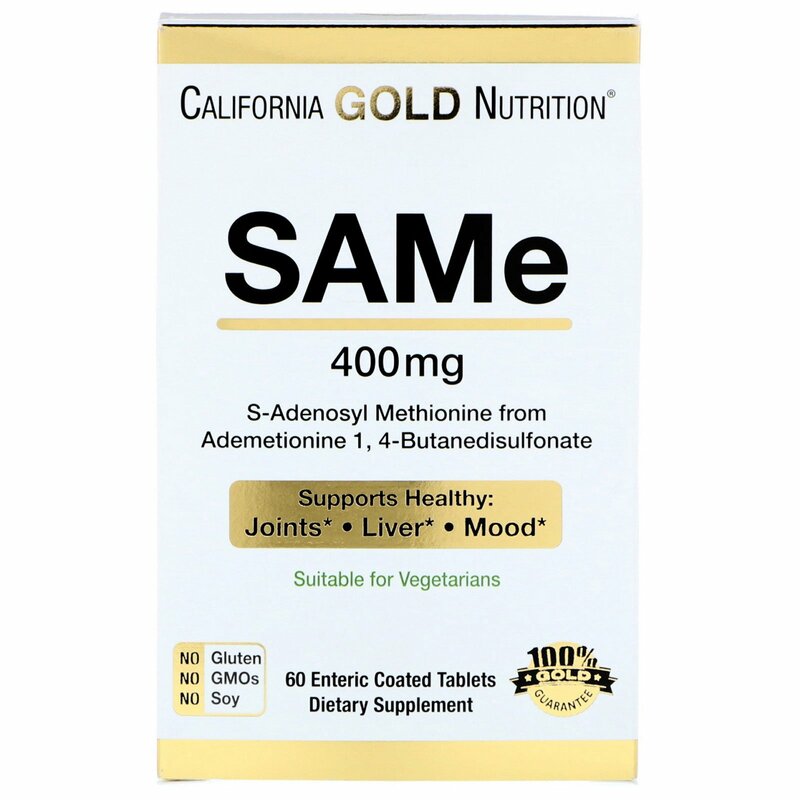 Each 400 mg tablet is enteric coated to improve gastric tolerance and absorption. 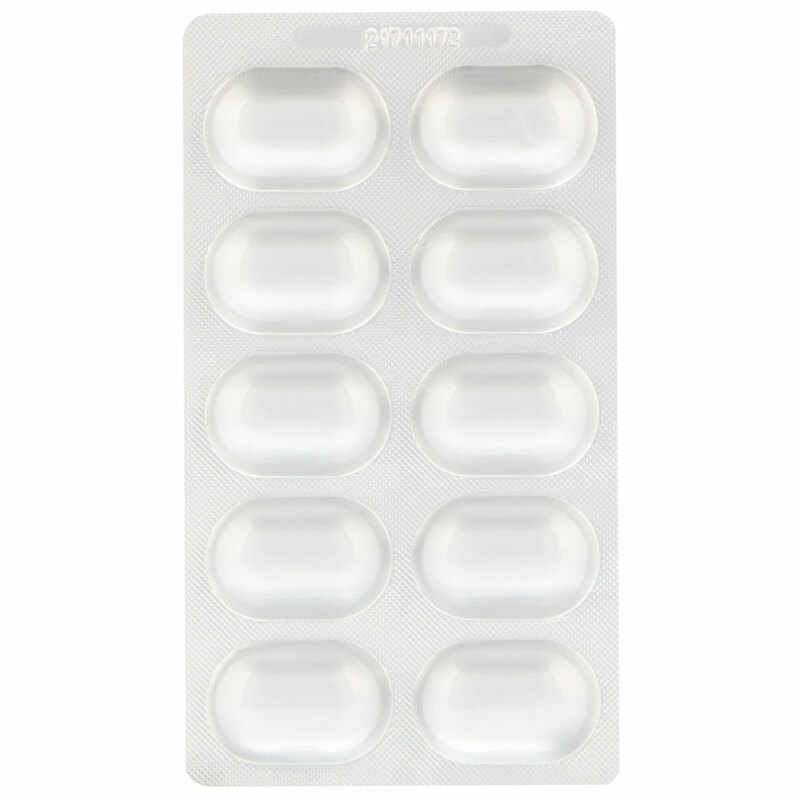 The enteric coated tablets are created with a plant-based coating system, and are double-foil sealed to ensure product integrity and protection from light, moisture and oxygen. 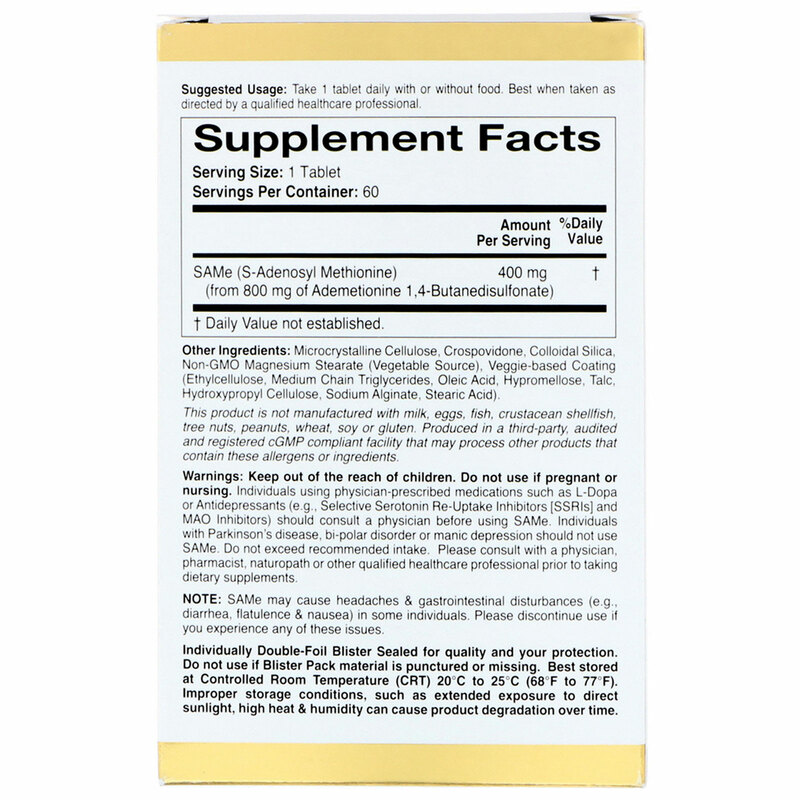 Take 1 tablet daily with or without food. Best when taken as directed by a qualified healthcare professional. Microcystaline Cellulose, Crospovidone, Colloidal Silica, Non-GMO Magnesium Stearate (Vegetable Source), Veggie-based Coating (Ethylcellulose, Medium Chain Triglycerides, Oleic Acid, Hypromellose, Talc, Hydroxypropl Cellulose, Sodium Alginate, Stearic Acid). Note: SAMe may cause headaches & gastrointestinal disturbances (e.g., diarrhea, flatulence, & nausea) in some individuals. Please discontinue use if you experience any of these issues. Keep out of the reach of children. Do not use if pregnant or nursing. Individuals using physician-prescribed medications such as L-Dopa or Antidepressants (e.g. Selective Serotonin Re-Uptake Inhibitors [SSRIs] and MAO Inhibitors) should consult with a physician before using SAMe. Individuals with Parkinson’s disease, bi-polar disorder or manic depression should not use SAMe. Do not exceed recommended intake. Please consult with a physician, pharmacist, naturopath or other qualified healthcare professional prior to taking dietary supplements.